This is just the starter fleet: A battleship, a squad of 3 Cruisers and two squads of 3 frigates each. 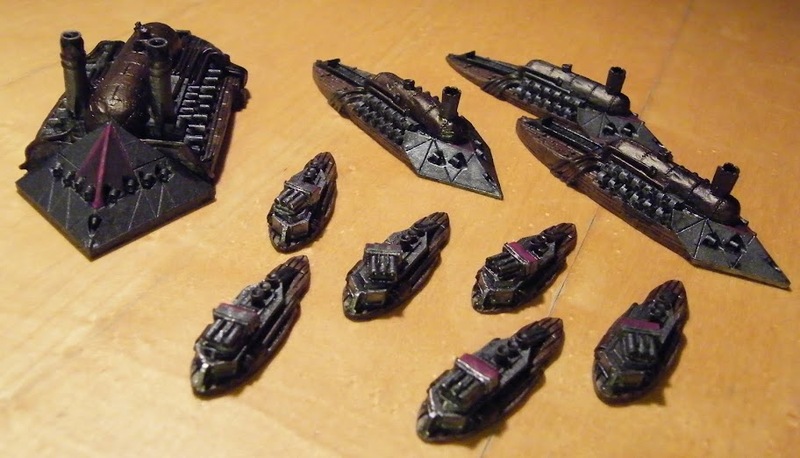 The other fleets I have are basically the same but with a couple of additional ships. I will be getting some sub tokens for my Iron Dwarves in the near future which will also need painting up.